This is part of a series of tasting notes from a monthly private whisky club in Mumbai, India. 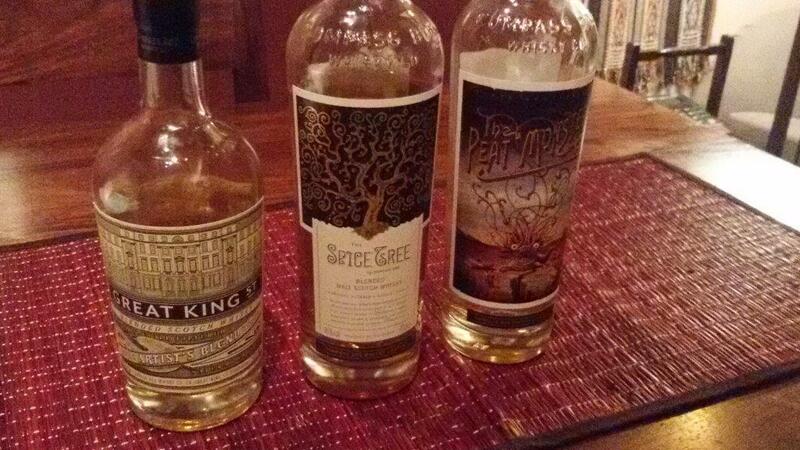 For this evening, we tried ‘blind’ different ‘expressions’ before unveiling a theme night of three remarkable whiskies from Compass Box: Great King Street Artist’s Blend, Spice Tree and The Peat Monster. Add water? The spice reduced with the fresh sweet lemon coming back full force! Our blind verdict? A beautiful young teenager… more of a brunch drink that could be a marvelous base to a delicate creative cocktail. With its freshness, perhaps a whisky mohito? 1st expression unveiling – A delight to try such a carefully crafted blended whisky. Named after Compass Box’s headquarter’s street… the Artist’s Blend brings together mostly Lowland Grain Whisky with Northern Highland & Speyside Single Malts. Throw in first-fill American oak & European oak ex-Sherry butts, toasted French oak and we have a clear winner! Our blind verdict? More of a weekend drink – perhaps Sunday evening when one can sip and savour. The finish alone is superb and worth a lazy leisurely setting. Could pair with chocolate to melt with the sweetness or perhaps cheese? Yet has enough character to hold its own with a meat course. None could quite place it, though there was a sense we have tried cousins of it. 2nd expression unveiling – Made from 10 year Highland malt whiskies with new French oak heads, perhaps the cousin we sensed is the Clynelish element? Apparently our friends at Compass Box got themselves into a spot of trouble when they first launched this remarkable blended malt. Check out more of the story here. Peat Monster isn’t so scary after all.. Nose – Instant Wow! Peat, rubber, a little blue cheese …. After the first powerful notes faded, revisiting was like the waft on opening a closed closet in the rains – that peculiar queer monsoon mold odour! Our blind verdict? Yummy yummy! Well worth revisiting during those moments where you need something to just envelope in rich peaty warmth! 3rd expression unveiling – Don’t let the name dissuade you! 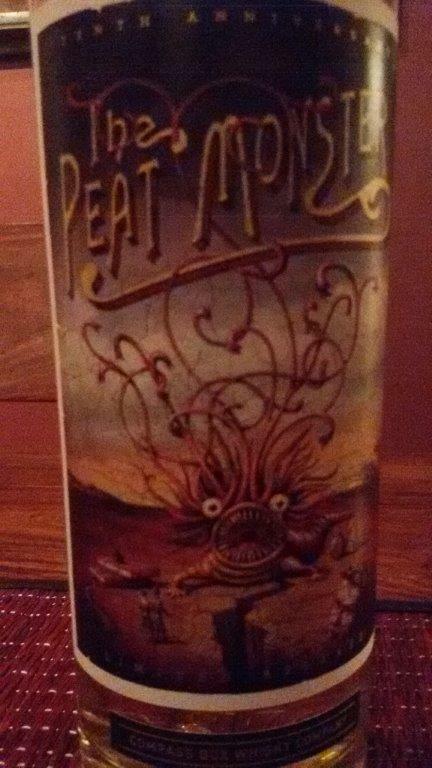 Yes Peat Monster is peaty but it is also exceptionally balanced. Compass Box shares it combines “extremely smoky malt whisky from Islay with medium-peated Highland whiskies to create a balanced and approachable monster, but a monster nonetheless. Enjoy!” And yes… enjoy it we did! The unveiling was a visual treat. Compass Box takes its creative design of the bottles as seriously as the blending. 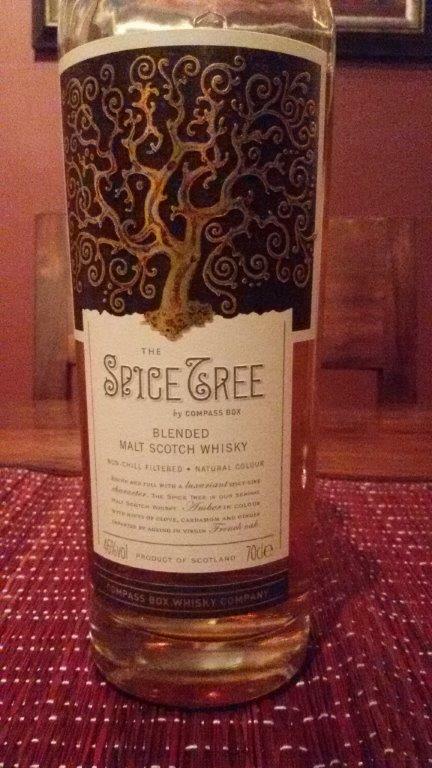 For several, the evening favourite was Spice Tree, however all are well worth trying! 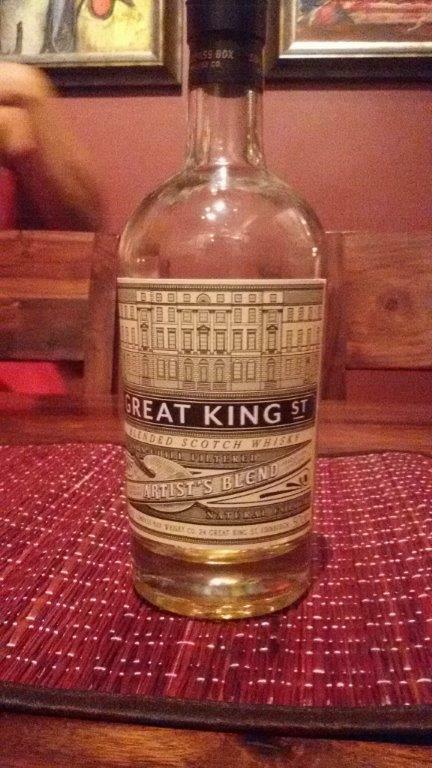 By Carissa Hickling in Whiskey, Whisky Reviews on August 27, 2014 .